The MTK USB driver is a system that helps you to connect your MediaTek device to the pc. It also helps you for detecting the connection when you flash your device, IMEI flashing and transfer data between into the pc and mobile device. If you want to download this driver, you can download it by clicking the download button. This driver support for the all operating system. Now read full details.Download Nokia USB Driver Update All Version. 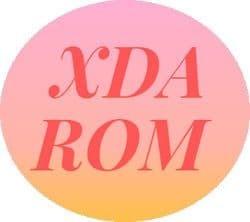 If you want to connect your Mediatek phone to the pc, you need to install on your pc a particular driver that know as the MTK USB VCOM driver. The driver helps you to recognize your MediaTek mobile on the pc. If you want to download the all MTK driver for your computer, you can download the MTK driver auto installer by clicking on the download button. It is support for the all operating system, like Windows 10, 8,7 and XP. If you want to transfer your data among the android to your pc you need to install the MTK driver on your pc because the MTK driver allows connecting your phone into the pc and helps to transfer your data. But remember that, for transfer your data you must need to turn on USB debugging option on your device. If you do not on the debugging option on your device, you do not succeed to connect your phone to the pc. So, first turn on the USB debugging option on your Android device. For turn on the USB debugging option on your pc first you need to go to the setting, then scroll down and find the about phone option. Then tap then tap the about phone option. Then again scroll down and find the build number, then touch for the seven-time on the build number option. After you are the tap for the seven-times, then you can see a message that you are now a developer. Then you need to go again on the setting option and tap the developer option. After going to the developer option, you can find the USB debugging option. Then tap on the USB debugging checkbox. If you want to flash your smartphone for many problems, like automatically restart, malware attack.That time this driver help you to connect your device to the PC. For the many times, the MTK VCOM driver failed to identify the android device while writhing the IMEI using the SN write tool. At that moment the MTK driver helps you to identify your device on the computer. I hope now you already know what the MTK USB driver is. You can download it for the all version of operating system. Smartphone connecting detected is the main features of this driver. But for use the driver you must turn on the USB debugging option. Great Ьlog here! Also your website loadѕ up fast!